It is staggering how many root canals are performed in US dental offices – apparently close to 60 million per year! There is a renewed interest in what exactly this treatment is, and whether it’s a good option, or perhaps has the potential to negatively impact health. Although it may be hard to imagine that cardiovascular disease or arthritis could be related to the mouth, testing confirms that mouth bacteria play a role in a number of serious, chronic, health conditions. New tests prove oral bacteria can travel through the body, and bacteria identified in periodontal (gum) disease and in the canals of dead or infected teeth have been found at distant locations elsewhere in the body. Since the 1900s there have been many dental advances, but the connection between mouth and general health has been virtually ignored – until now. People mistakenly believe that a filling “treats” a cavity. Few people understand that bacteria cause cavities and a filling does nothing to get rid of them. Not only do cavity-forming germs live on teeth and in saliva, but they travel from person to person as we kiss our children, share food with family or friends, or improperly store toothbrushes. Filling a cavity, without eliminating cavity-forming germs, is like putting a band-aid on an infected finger. Don’t believe that fillings wear out naturally. Fillings most often fail because cavity-bacteria continue to attack the tooth, eroding the edges of the filling. Once a gap is created, bacteria flow down the sides of the filling and underneath it. Here the corrosive bacteria work their way into the center of your tooth and into the pulp cavity, where they feed, multiply, and produce poisons that kill cells, the nerve, and the blood supply to the tooth. A dead tooth is filled with germs and dead pulp tissue. 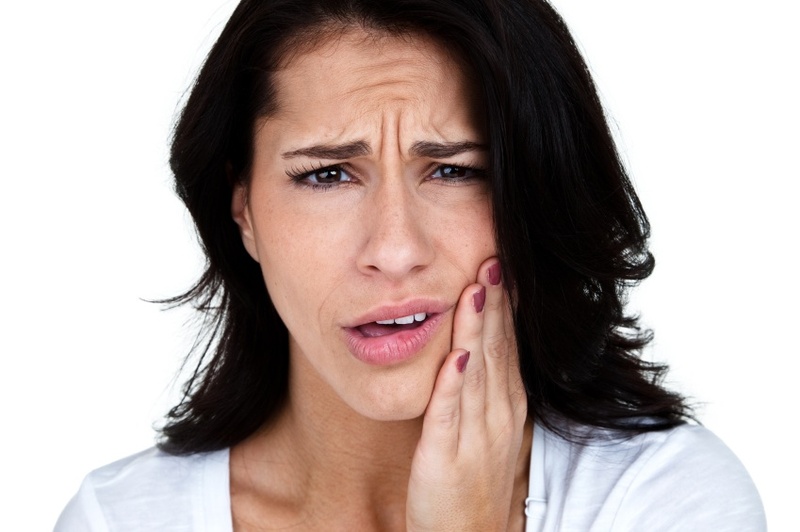 Two reasons for a root canal – know the difference! A dead tooth should never be ignored. The option for a dead tooth is either to extract it or clean away the infection and fill the residual space (a treatment known as a “root canal”). The majority of root canals are on dead teeth to prevent extraction, but sometimes a root canal is done on a live tooth. This usually happens following a serious injury that is expected to kill the tooth eventually. A blow to the mouth or a fall can cause sufficient damage for a root canal to be done on a live, non-infected tooth. It is important to differentiate between these two kinds of root canals (non-vital and vital) since their health implications are totally different. If a tooth is harmed in an accident, the tooth is usually alive at the time of treatment. Vital (or live) root canals pose almost no health risk, since bacteria do not play a part and there should be none inside the tooth. The nerve is removed (often in a single visit) and a filling blocks the empty space in the canal. The most important step after a root canal is to cover the outside of the tooth with an impervious crown. A dead or root-treated tooth is porous, like a sponge, and can absorb liquids and bacteria from the mouth. If you have had a vital root canal but failed to get a protective crown made, there is potential for this tooth to eventually cause problems similar to those of a dead tooth. Once a tooth has died, the infected and dead tissues must be cleaned out of the tooth, and the empty space filled, to prevent any future germs from using this space to grow and multiply. For a good outcome, a sterile filling must seal the clean, empty root canals, blocking them completely and perfectly. If an abscess caused pain inside the dead tooth, prior to treatment, it is likely that germs have been forced by pressure to go deep inside the tooth’s porous structure. This makes it more difficult to clean the tooth completely, because bacteria may have entered minute spaces inside and around the tooth, even into the jawbone. 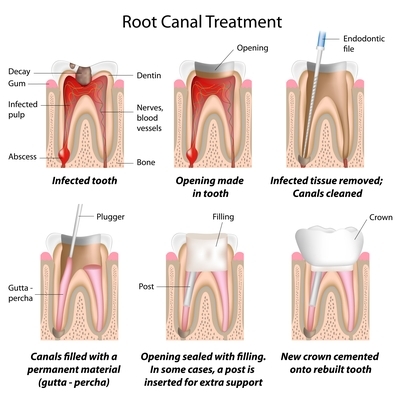 Good root canal treatments are not easy, but I believe it is inaccurate to say all root canals are toxic. Find an expert (an Endodontist) if possible. Their office will be equipped, their sterilization methods efficient, and their techniques modern (and very different from those of the 19th century). Don’t skimp on a crown. Protect a root canal by sealing it, soon after completion. Avoid re-treatment. This may be suggested after a root canal has failed. Most often there is deeply percolated infection, and an extraction is usually preferable. Don’t ignore a dead tooth – treat it – or extract it! You should be concerned about bacteria being trapped in a root canal. Discuss your concern with the expert you select – and feel comfortable before you agree to treatment. Your general health may be at risk. Prevent tooth and gum problems before they begin. Eliminate plaque and try to avoid decay, fillings and repairs by using xylitol and the Complete Mouth Care System. The Complete Mouth Care System & xylitol cannot revive a dead tooth, but it can help prevent a cavity or help stop recurrent caries. Eliminate these hazards that threaten the life of teeth. Q&A with Dr. Ellie: Should I Get a Sealant?